Getting tired of all the holiday merriment and good will? How about a little murder? 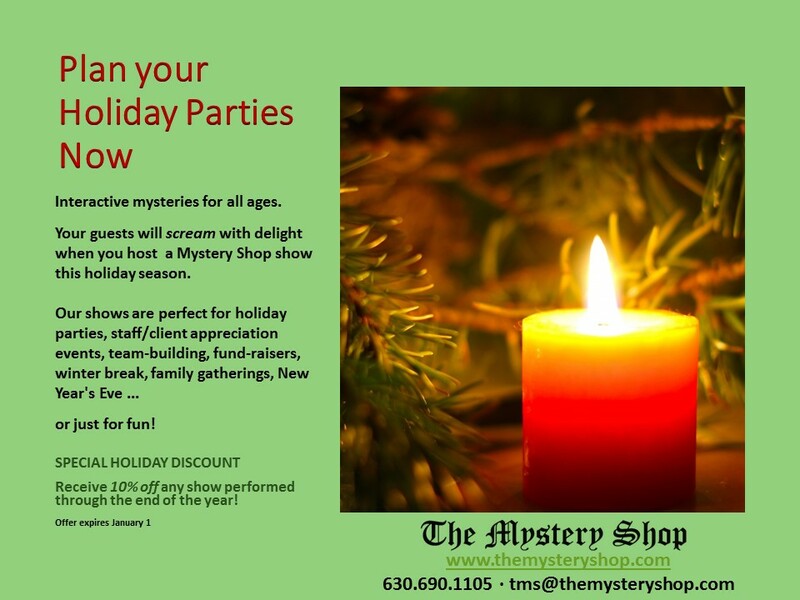 There’s still time to plan your holiday parties with The Mystery Shop. 10% off any show performed for the rest of the year!